The Young Professionals Forum (YPF) is the group of Young Professionals (YPs) of the International Federation of Consulting Engineers (FIDIC). 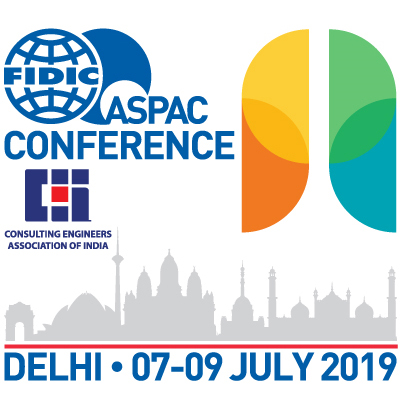 It was formed in 2004 with the intention of providing YPs with the opportunity to participate actively in FIDIC with their peers and to develop the next generation of consulting engineering industry leaders. As a leadership committee, the YPF Steering Committee (YPFSC) was formed to develop communication and networking opportunities for all YPs involved in the FIDIC community. Promoting the participation of young professionals in the consulting engineering industry's activities. The Young Professionals Forum (YPF) is managed by the YPF Steering Committee (YPFSC), to know more details about YPFSC members please click here. YPFSC Vision: To promote and empower YPs within the FIDIC Community to participate effectively in shaping the future of the Consulting Engineering Industry. YPFSC Mission: To provide YPs with a real space and platform to influence the strategies, policies and initiatives of FIDIC and society, by promoting the active participation in YPF to all Member Associations (MAs) of FIDIC, through a variety of initiatives and activities such as forums, events, webinars and communication channels. The FIDIC YPF Business Plan is approved by FIDC EC for the purpose of providing the full details for the vision, mission, goal, objectives, values, activities, etc… of the YPF Community, in addition to document all basic information that is needed to map out a strategy to focus actions. You can find it here. The FIDIC YPF Reference Document is a Guideline to assist FIDIC Member Associations (MAs) in establishing a Young Professional Forum (YPF), and providing inspiration to existing YPs for continued development. The first edition of this Guide was issued in September 2013. You can find the fourth eddition here. The deadline for the submission of nominations is 10th December 2018 (Extended from 1st December 2018). FIDIC YPFSC is pleased to announce the launch of FIDIC Young Professionals Award. This award, which is open to all young professionals aged 40 years and under who are working for firms in the membership of FIDIC. The purpose of this award is to highlight the talent of next generation leaders in the consultancy engineering industry across the world, and at encourage effective participation of YPs within FIDIC for maintaining of the sustainable development of the industry. For the full details check the Business Plan here and (http://fidic.org/node/9114). 1st YPs Booklet "Reflection of the YPs": It is a summary of the main YPs papers that were received as a result of the call for papers process, which was initiated, announced and managed by YPFSC for all YPs worldwide to select the best papers to be presented here at the Jakarta conference during both the YP Open Forum and the 1st International YPs Symposium Sessions. In addition to other important papers and schedule for YPs activities. Young Professionals Management Training Programme’s (YPMTP) Survey Report : YPFSC, YPMTP mentors, FIDIC secretariat and CBC have prepared a survey for the purpose of gaining feedback from current and previous participants in the YPMTP and finding opportunities to improve the programme if required.This survey differed from previous surveys in that this version focussed on more long term answers from previous participants, as well as including current and recent participants. 91 responses were collected, which represent about 16% of the total YPMTP attendees (565 since 2004) from 32 countries. BIM Use Survey’s Report : YPFSC and FIDIC Risk and Quality Committee (R&Q) have prepared an online survey for the purpose of understanding the scale of use of Building Information Modeling (BIM) in Engineering Industry. 85 responses from 32 countries were collected within one month and presented in FIDIC 2017 annual conference in Jakarta. The YPF Newsletter started its journey in 2007 and continues its mission to create a real bridge between all YPs worldwide, a bridge that channels YPs ideas, interests, activities, growth, cultures & achievements. To see full details of all pprevious issues and to keep up-to-date on the latest YPF newsletter, please click here. YPF Newsletter is the young voice! Year YPFSC Chair/ Country Members No. Several FIDIC Member Associations operate Young Professionals Forums. Activities include: coordination; exchange programmes; online discission forums; board and committee participation; in-company young professional groups; facilitation for overseas projects. The FIDIC Young Professionals Management Training Programme (YPMTP) is a seven-month interactive training programme in business practice for future line managers, see Young Professionals Management Training Programme. For more deatils about YPMTP History FIDIC Participants- Final.pdf and http://fidic.org/type-blogs/young-professionals.